It’s three quarters of the way through the Royal Shakespeare Company’s (RSC) Roundhouse Season in London, and actor Noma Dumezweni feels that she can relax a little. Appearing in three of the Company’s six current productions, the Swaziland-born, Suffolk-raised actor is excited about the next phase of the Season’s tour back at the soon to be relaunched theatres in the company’s Stratford-Upon-Avon base. After that homecoming – where Ms Dumezweni will reprise her roles as Nurse in Romeo and Juliet, Paulina in The Winter’s Tale, and Calphurnia in Julius Caesar - she will join the rest of the ensemble with a farewell residency of the complete season at New York’s Lincoln Theatre. I spoke with the actor during that warm and fuzzy end-of-term period between Christmas and New Year’s Eve, whilst she was enjoying a meal with friends. A busy restaurant, a bout of illness over the festive period and a crackling mobile connection could not mask her bubbly and exuberant personality. 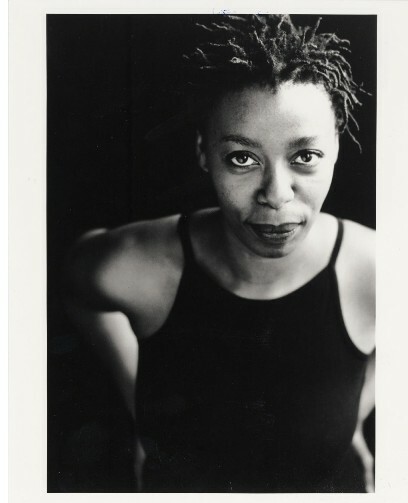 Dumezweni – a Xhosa word translated as ‘famous in the world’ - won an Olivier Award in 2006 for her portrayal of Ruth Younger in the Young Vic’s production of Lorraine Hansberry’s groundbreaking classic A Raisin in the Sun. She has also appeared in several roles, from provincial arenas to the prestigious National Theatre. With an impressive body of Shakespearian experience that includes Antony and Cleopatra, Much Ado about Nothing, Macbeth (on stage and screen) - as well as the aforementioned roles in the current Roundhouse Season - she has had a solid and consistent stage career so far. She also impersonated Grace Mugabe in the controversial Breakfast with Mugabe and TV and radio, drama and comedy all appear on her impressive CV. Since joining the RSC in 2006, Dumezweni has became one of a privileged group of actors who enjoy the stability, professional development and superb productions which ensemble work usually brings. And she has sharpened her skills with peers who are at the top of their game. Acknowledging the diversity of the RSC ensemble, and the variety of roles she her self has tackled. Dumezweni is not complacent about the quality of roles for actors of African descent in British theatre. “What would be great is if they have me playing the next Cleopatra,” she thinks out loud. Currently on the last lap of what is - for her - the end of a three-year RSC stint, she chooses a surprisingly non-work related highlight of her time with the company. With family origins in Southern Africa, she lived in various African countries before settling with her sister and mother in England, and she is clearly impressed with the developing genre of work covering the Black experience in Britain, citing several well known writers. Women’s voices are not as prominent in this field and her optimism about the future for theatre is seasoned with hope that this wave will unveil the work of even more female writers. But this versatile actress is an advocate of hard work and perseverance. For her own future she is only looking as far forward as the remainder of the RSC tour ending Stratford and New York?